After picking you up from your location Riad/Hotel the time that would be suited for you ,Our Fes to Volubilis and Meknes day trip. Meknes is a city in northern Morocco. It is served by the A2 motorway between these two cities and by the corresponding railway. Meknes was the capital of Morocco under the reign of Moulay Ismaïl, before He was transferred to Marrakech. It is the capital of the region of Meknes-Tafilalet. Meknes is named after a Berber tribe who was known as Miknasa in the medieval North African sources. 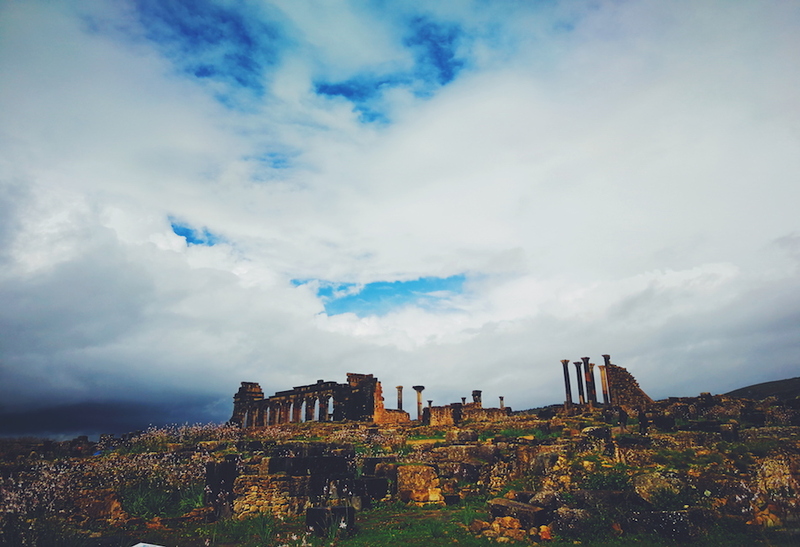 Volubilis is a Roman city partially excavated in Morocco Located near Fez and Meknes Between Rabat. Built in a fertile agricultural region, it was developed from the 3rd century BC as a Phoenician / Carthaginian colony. It grew rapidly under Roman rule from the 1st century AD and expanded to cover about 40 hectares rise in circuit walls. The city has gained a number of large public buildings in the 2nd century, including a basilica, temple and the triumphal arch. Its prosperity, mainly derived from olive growing, assisted the construction of many beautiful townhouses with wide mosaic floors. Moulay Idriss is a city in the north spread over two hills at the base of Mount Zerhoun, the holy city of Moulay Idriss Zerhoune holds a special place in the heart of the Moroccan people. It was there that Moulay Idriss I came to bring him with the religion of Islam, and starting a new dynasty. In addition to the foundation of the city named After him, he also initiated construction of Fez, later pursued by his son, Moulay Idriss II. Do not hesitate to contact us for rates, Morocco Safari Tours SARL is at your service.